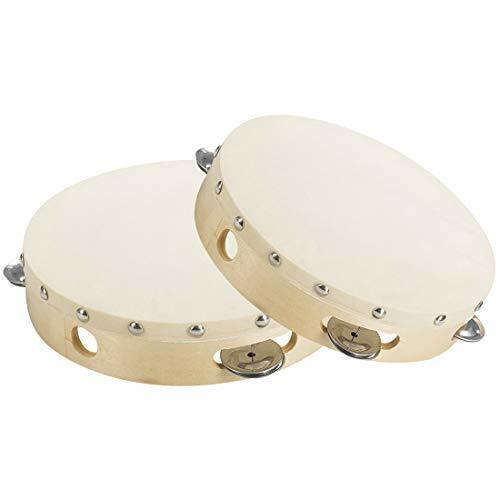 This percussion musical instrument tamburine drum is great for children,adults.high-projecting sound Solid wood shell, durable frame is ergonomically designed to reduce stress on the hand. Ergonomically designed:tambourine frame can reduce stress on the hand and arm when you use it for long time. Material:The tambourine shell is made of birch, while the drum head is made of natural skin. Useful:6 Pairs Jingles; Single row,easy playing tambourines for any percussion need. Widely use:The tambourine is an ideal addition to any party, dancing, concert, festival, church choir, etc.